“Saudi Arabia has forced the closure of all ports, airports and borders in Yemen in response to a missile attack by Iranian-backed Houthi rebels on Riyadh Airport on Saturday night. 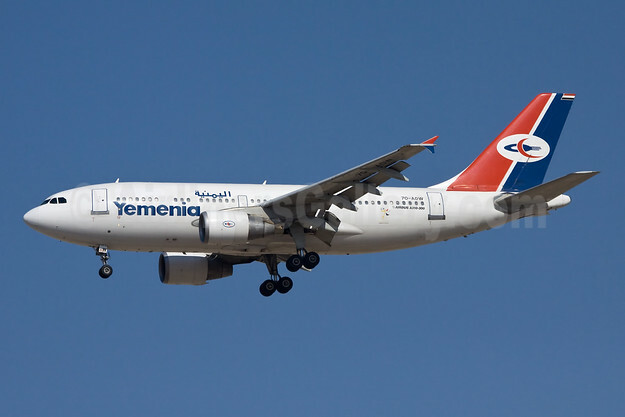 Top Copyright Photo: Yemenia (Yemen Airways) Airbus A310-324 7O-ADW (msn 704) DXB (Ole Simon). Image: 913897. This entry was posted in Yemen Airways, Yemenia and tagged 7O-ADW, Airbus A310-324, DXB, msn 704, Yemenia, Yemenia (Yemen Airways) on November 8, 2017 by Bruce Drum.